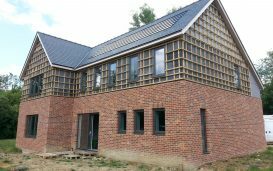 This new build house was fitted with a 24kW twin compressor Ground Source Heat Pump, Underfloor Heating and two MVHR units. An energy efficient new build property fitted with an NIBE 8kw ASHP & UFH. 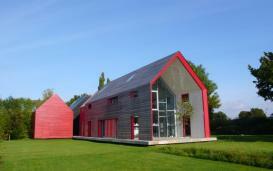 A new build property with NIBE’s first 1245 Ground Source Heat Pump system fitted in the UK. 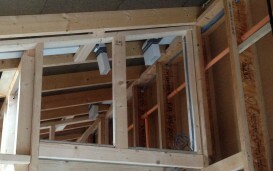 With MVHR & UFH fitted. 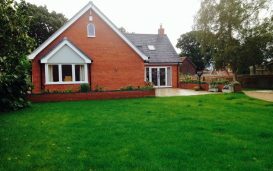 A new build bungalow fitted with a GSHP, UFH and MVHR to make a comfortable new home. 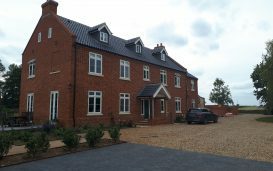 Mr C was looking for a Ground Source Heat Pump with boreholes and underfloor heating to be fitted on both the ground and first floor of the property. 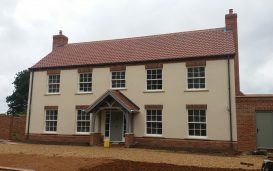 R A Brown was involved in supplying and installing the Underfloor heating, connecting the ground source pump and also carrying out all the plumbing work on the building. 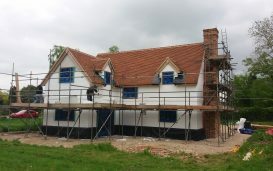 A four bedroomed oak timber framed environmentally friendly home. 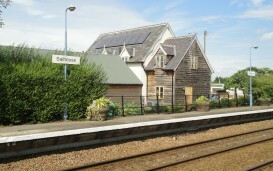 The eco-friendly home lies on the grounds of the Old Station Masters House and has been fitted with a NIBE Air Source heat pump.